Oh boy! Remember my little pink comment yesterday? It happened and now I wish it would go away! Remember how I said I have two days in bed with a heating pad. Well, yesterday was day #1 and today will be day #2! It stinks having cramps and a cold! I wanted to get my cramps out of the way before tomorrow (when I start with Diana) and I’m thankful that happened, but I am miserable! 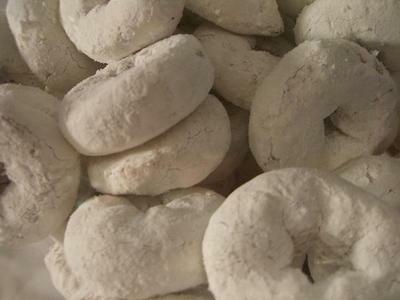 I had some major cravings yesterday for powdered donuts, cupcakes, cookies and peanut butter M&M’s, but I ate none of it. Instead, I Googled cupcakes, so I could click on “images” and stare at pages and pages of cupcakes. (I did the same thing with cookies and cakes!). I was also craving ice cream with Reese’s peanut butter cups. I was actually wanting it from Yogurtini. I have never even been there and I want it! I had no idea what that place even was until a couple of weeks ago. I have since read several blogs where the girls are going to similar places and filling their cup with delicious yogurt and toppings! Why did I not know about this place BEFORE I started competition prep!?! You can probably guess that there was NO exercise yesterday. I literally laid in bed with my heating pad and knitted and crocheted in between sneezes and nose blowing. I was so pathetic. Justin felt so bad for me. He would come in every once in a while to check on me and bring me food or water or whatever I needed! I did not eat the tacos in bed. As soon as I was done though, I hurried back to my heating pad and blankets! I am hopeful that my body will wrap these cramps up today and tomorrow, I will wake up feeling refreshed and ready to go workout with Diana!